Happy Monday, everyone! A big thank you to everyone who took the time to read my last post. Your excitement for my book is extremely encouraging and will help keep me moving forward! Doesn't really look all that different from these illustrations depicting fur from decades prior, does it? 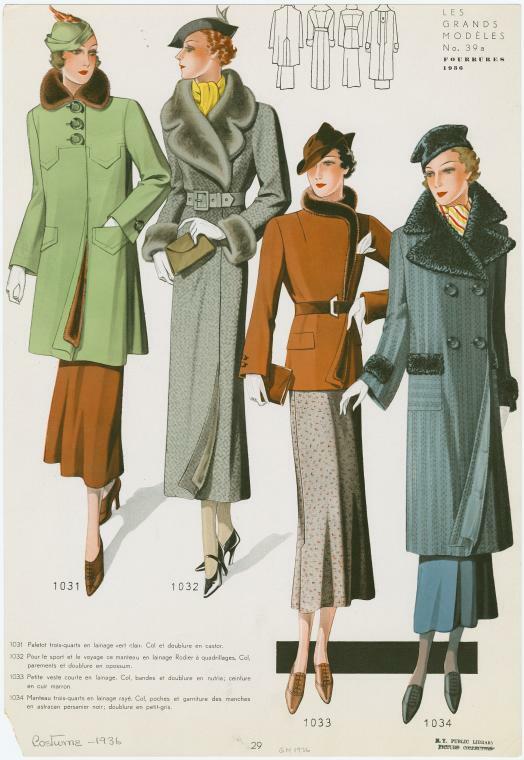 Styles and hemlines may change over time, but the essence of fashion illustration has essentially stayed the same. Though comic books have had a tendency to be considered lowbrow, "Mad Mad Modes for Moderns" helps make the case to elevate them as serious contenders for the title of art.